Disney Cruise Concierge amenities might not seem like much. But during the cruise at every turn I felt like some invisible hand was guiding us to have the time of our lives. After taking a couple of Disney Cruises when our kids were younger I left feeling a little disappointed. But after spending a few years focusing on Disney World and other destinations, I was ready to try a Disney Cruise again. On the first two cruises I was, at times, unhappy with the service quality, the food was disappointing, and the stateroom was tiny. This time, I was willing to pull out all the stops to give Disney a chance to help make this the memorable vacation I wanted it to be. I booked a Concierge Level One Bedroom stateroom for a 4-night Bahamian cruise on the Disney Dream. 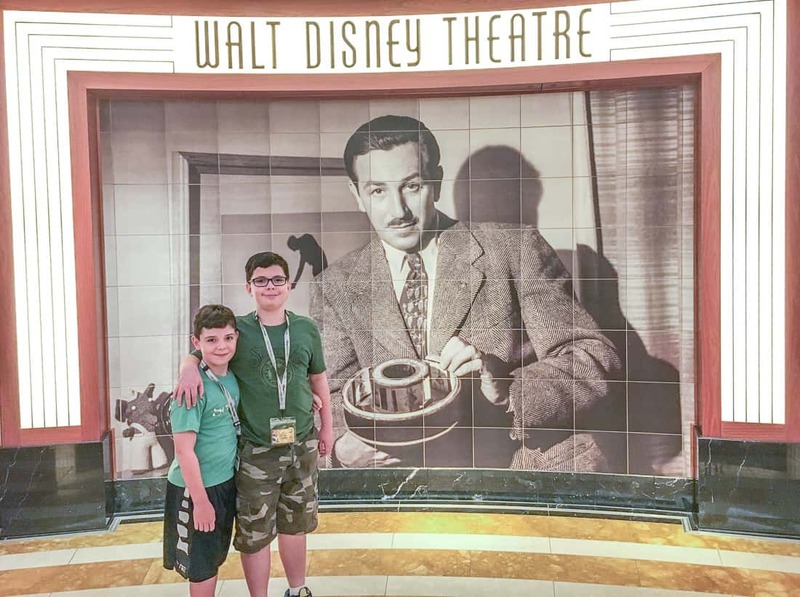 The Disney Concierge level appealed to me for its ability to smooth the rough edges we experienced on our previous cruises in dining and cabin comfort. Concierge Level on the Disney Dream was probably our best family vacation ever. 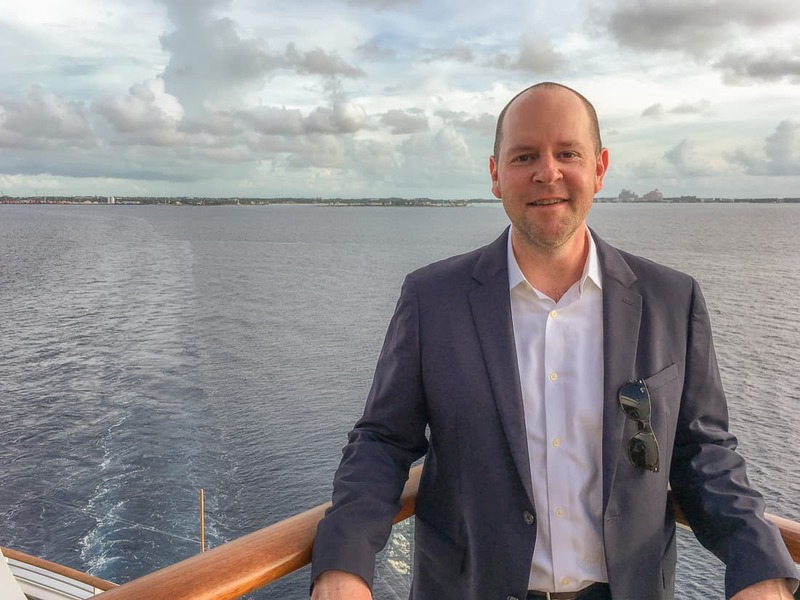 When Disney Cruise Line added the Dream and Fantasy to their fleet they focused on making their Concierge product even more compelling. 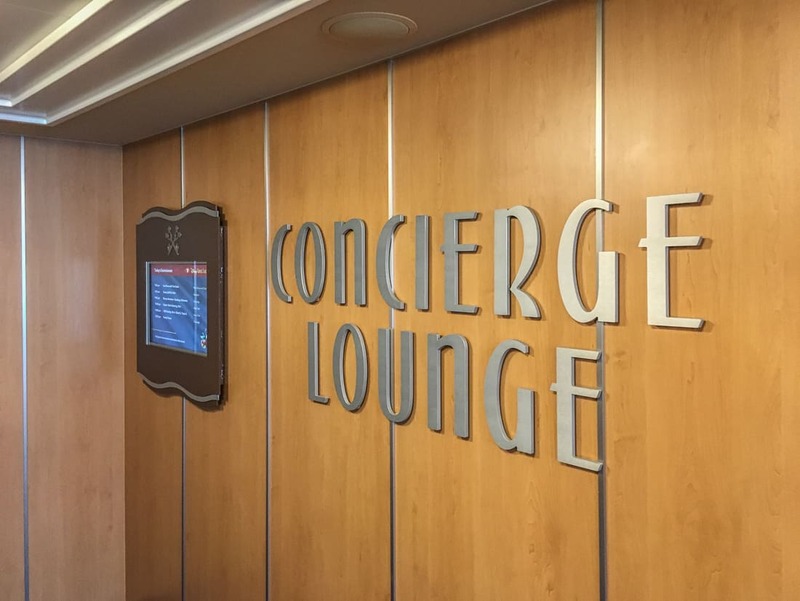 After recent refurbishments, there are now a Disney Wonder and Disney Magic Concierge Lounge, too. 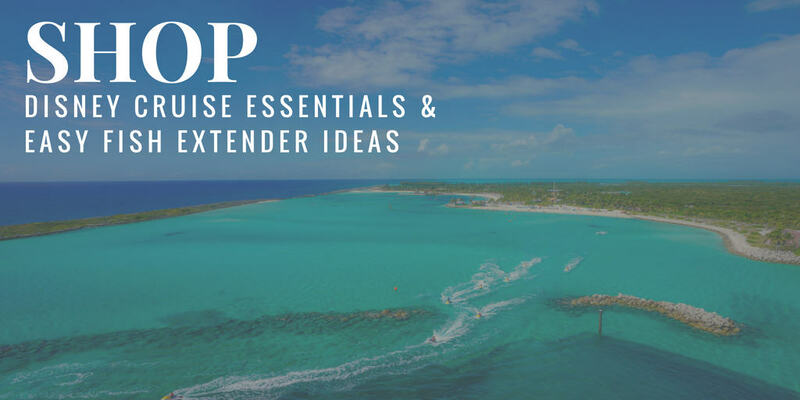 The experience starts before your vacation begins with pre-arrival services that enable priority on reserving onboard activities, shore excursions, dining reservations, and beach cabanas on Disney’s private island, Castaway Cay. On embarkation day, you get priority boarding and are among the first guests to board the ship. Non-Concierge guests are given an arrival window to avoid everybody slamming into the terminal at the same time. 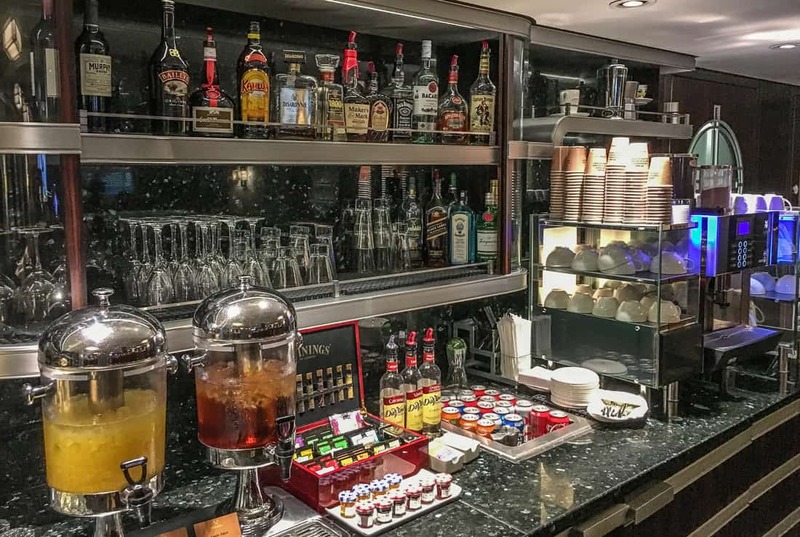 Adjacent to Concierge staterooms is a Concierge Lounge with light snacks and beverages throughout the day and complimentary beer, wine and cocktails in the evening. The Concierge Lounge and hosts are considered the most important perk of the Disney Cruise Concierge Benefits. The Lounge is where you’ll interact with your Concierge Hosts, probably the single best thing about the Concierge experience, who can help with just about any request you might have onboard. 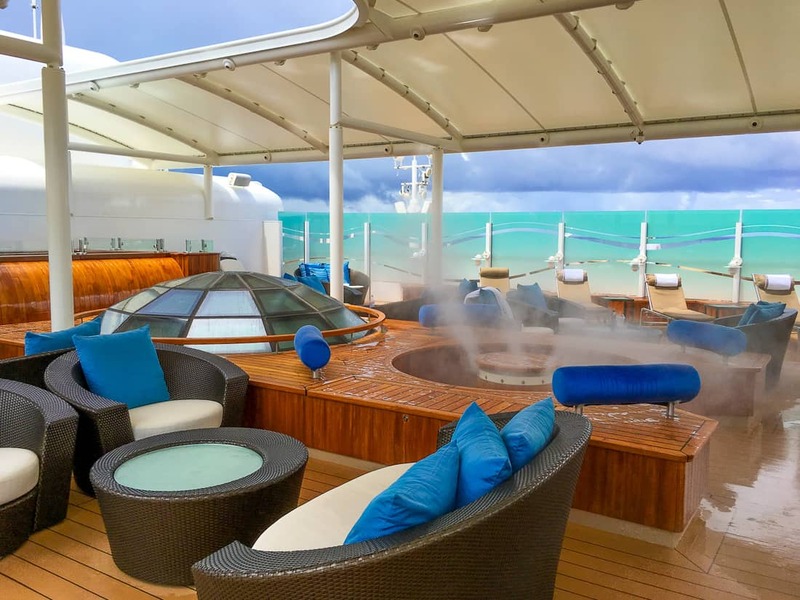 Above the Lounge is a Concierge sundeck, an uncrowded space to relax outdoors with hot tubs, cooling misters, and beverages. On their face, Concierge benefits might not seem like much. But during the cruise at every turn I felt like some invisible hand was guiding us to have the time of our lives. So many little things were just subtle, and—well— better. Many of the guests we chatted with agreed. It would be hard to go to non-Concierge once you start this expensive and addicting version of a family vacation. Disney Cruise Concierge Guests have access to a private sundeck. Once our cruise was booked, I called the on-shore Concierge for guidance on things that can be booked ahead of time. If you’ve never sailed with Disney, having someone talk you through the options you’ll want to book is invaluable. 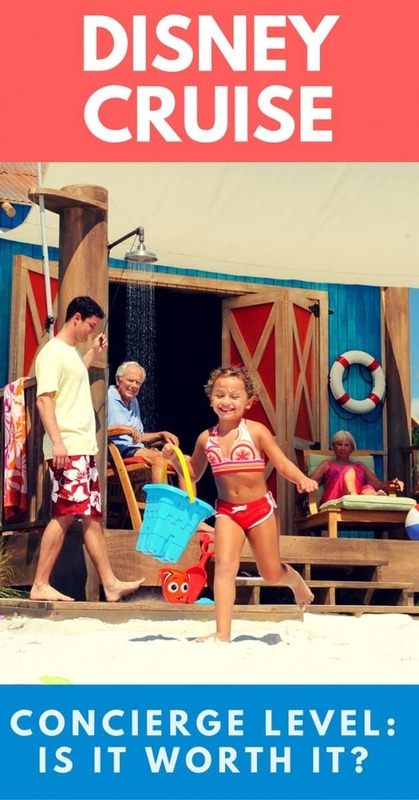 Probably the hardest amenity they can secure is a cabana on Castaway Cay which, despite their high price of $599, sell out quickly and typically go only to Concierge guests. We opted against booking a cabana, unable to justify the cost in our minds. Our requests were simple: a table at Remy and a spa appointment. 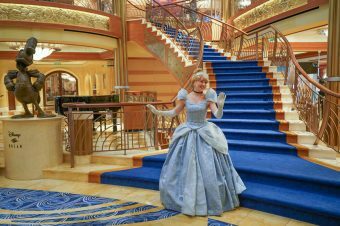 Others might request tickets to character meet and greets on the ship, preferred tables in the main dining rooms, Bibbidi Bobbidi Boutique appointments, or which non-alcoholic drinks to stock your stateroom fridge. A few days before the 120-day booking window opened we secured the reservations we wanted via email. This was handy since we were out of the country at the time. People determined to secure a cabana draft their request emails in advance and use an automatic email scheduler like Boomerang. It is critical to send your cruise requests at 12:01AM exactly when your window opens. Here’s how. Disney Cruise Concierge Guests have a small seating area at Port on Embarkation Day. 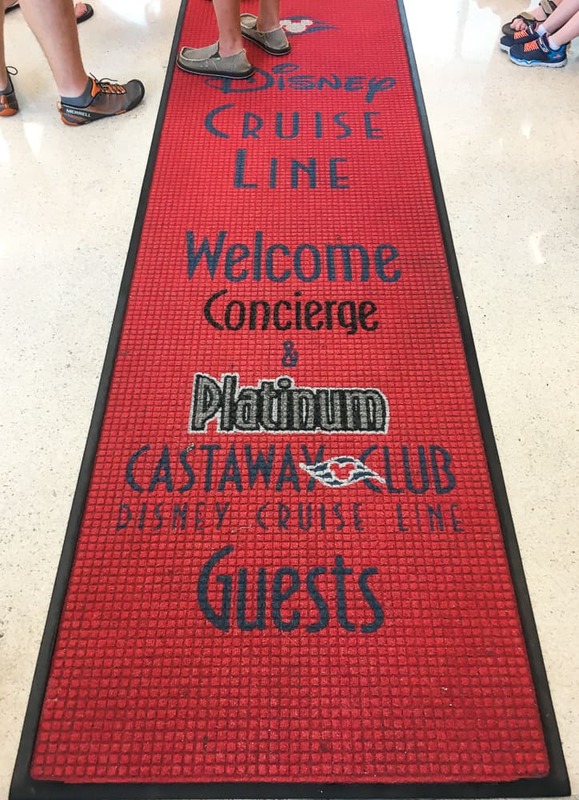 On embarkation day, we arrived at the Disney Cruise terminal about 15 minutes before the earliest time we could board in order to maximize our time enjoying the ship. When you’re sailing Concierge, you check in at a dedicated counter and can board whenever you want to rather than being assigned a window of time to check in. If you arrive early you can wait in an area reserved for Concierge guests. It’s nothing special, but it does provide a place to sit down. Concierge guests board immediately after guests who are doing back to back cruises, but before everyone else. There tends to be quite a bit more standing around and queuing for non-Concierge guests since there aren’t many seats. Nobody does a better job than Disney making every family feel special. After boarding the ship, we were greeted and guided up to the Concierge Lounge. This is probably as busy as the lounge ever is since every family sailing Concierge was also there. That said, it was a really nice greeting with Champagne and a personal review of our itinerary, orienting us on the benefits of sailing Concierge, and securing any last-minute reservations we might be interested in. They proposed a wine tasting we neglected to book earlier, and, though it was sold out, they were able to get us on the guest list. Disney Cruise Concierge Guests head straight to the Concierge Lounge upon boarding the ship to go over their itineraries. 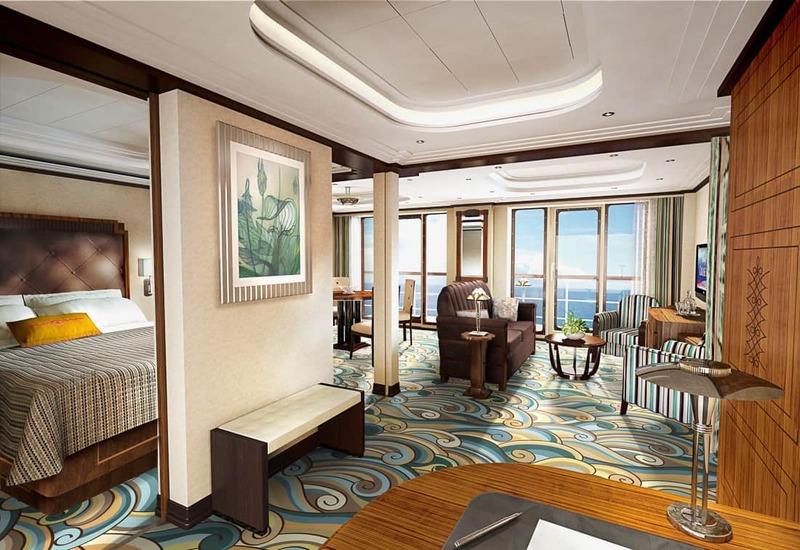 The One-Bedroom Concierge Suite is twice the size of a standard stateroom. We could enjoy our time in the room with our two boys without climbing over each other. The entry level Disney Cruise staterooms in the Concierge area are deluxe verandah rooms. Even though it is the same design footprint as the deluxe family verandah room, it’s interior design scheme follows that of the larger suites with a few upgraded bath amenities. From there they informed us our stateroom was ready. A Host walked us over and showed us around the room. The One Bedroom stateroom on the Dream is gorgeous and spacious. It’s roughly the size of two standard staterooms, thoughtfully configured with a separate sleeping area, two bathrooms, a soaking tub, a dining table, sofa, Murphy bed, and a double-sized verandah. 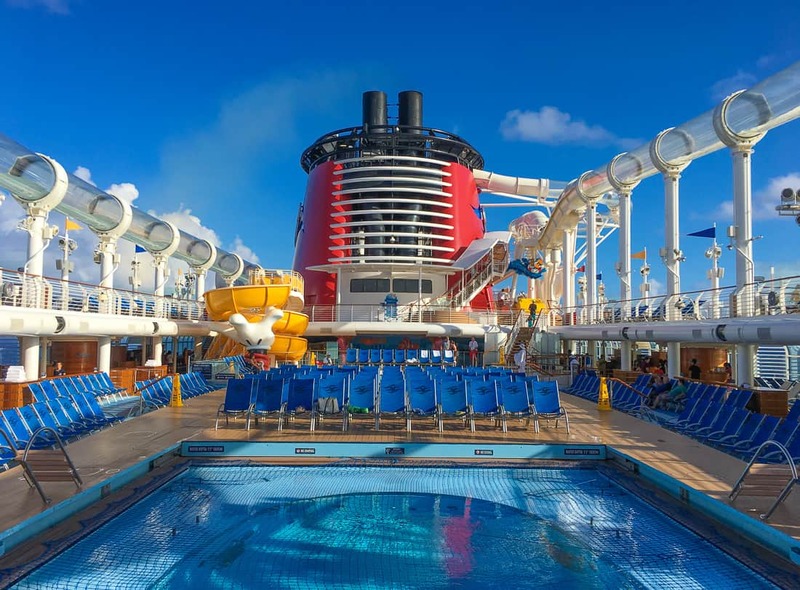 Read our planning guide with the most important Disney Cruise Tips prior to Embarkation Day. It was so nice to have one of the Disney Cruise suites at sea that’s even larger (about 600 square feet) and nicer than most hotel rooms. Once we got done gawking at the room we got our swimsuits on and hit the AquaDuck. It’s actually a lot of fun to enjoy with the kids. Try going early in the morning or late at night when lines are shorter. Before dinner most nights, Concierge guests head over to the Lounge for a complimentary drink or two. Martinis and glasses of Prosecco were popular choices. The wines they pour would sell for around $10 to $15 a bottle at a retail wine shop on land. The spirits selections included brands like Tanqueray, Jack Daniels, and Maker’s Mark. Beers were options like Corona and Heineken. 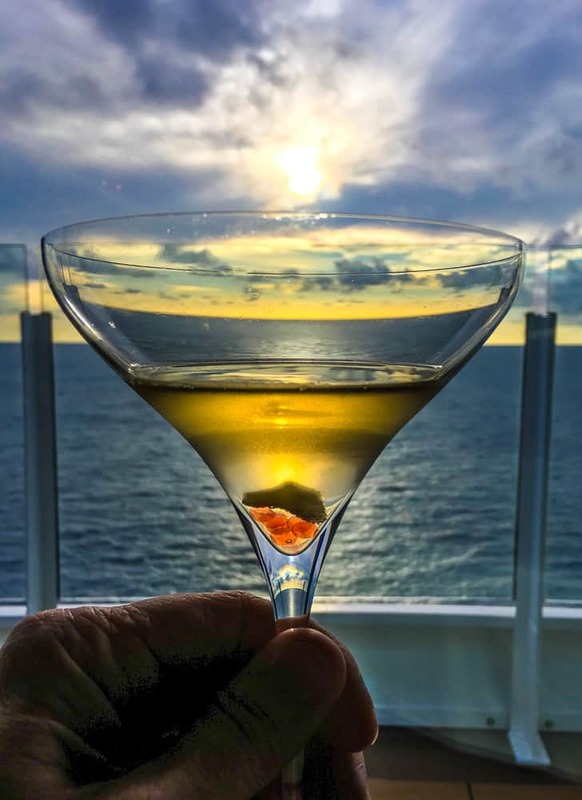 While I appreciated this amenity (which took the edge off the bar tab over the course of the cruise) it would be difficult to drink enough for it to put a dent in the Concierge price differential. I hope no one has ever tried. Check out more flattering costumes for Pirate Night! They’ve got an espresso machine I’d heard great things about that is available all day. It’s certainly a step up from the thin coffee available on deck but seemed to pour mediocre milk-based espresso drinks. The same brand of machine is used at luxury hotel lounges, but its quality varies. Most mornings we opted for a light continental breakfast in the Concierge Lounge. Though we could have gone to a sit-down restaurant or taken in a buffet, the Lounge was close and convenient and saved calories for other meals. The first night we went to our standard rotational dining restaurant and got to know our servers who’d follow us throughout the cruise. I realized that since we were going to Palo and Remy on a four-night cruise we’d only dine with them twice. The main dining room food is just “fine”. Like, there’s a tuna tartare but it doesn’t taste very good because the grade of tuna used doesn’t seem to be very good. Because of the quality, the tuna resembles a light pink instead of a dark red. The steaks in the main dining room are Outback Steakhouse quality. Not good. But some dishes can surprise, like pork or lamb shanks, that seem to survive the banquet preparation format better than others. Perhaps that sums it up. It’s banquet food. It like Be Our Guest without good theming. 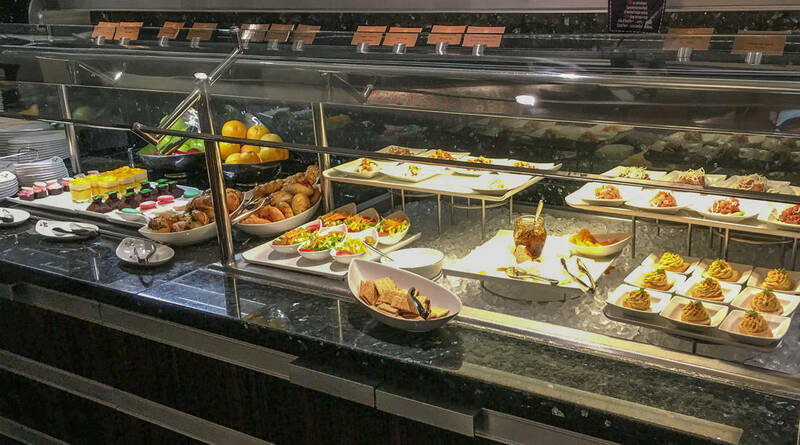 Concierge level doesn’t really “fix” the food problem on Disney Cruises. But there’s a solution. 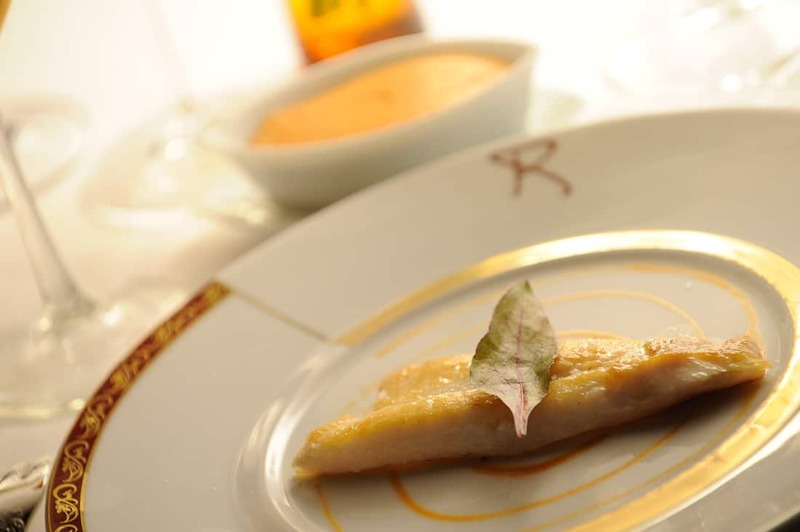 Remy is an upscale, adults-only French fine dining establishment open to all passengers for an extra fee. The upcharge is pricey at $99 per person or $199 with a wine pairing option, but I think it is worth every penny. 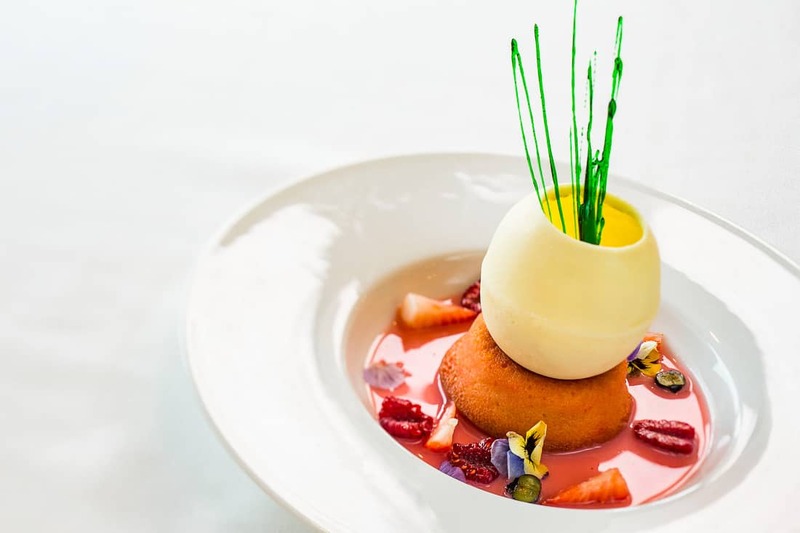 It’s so elegant, delicious, interesting and refined. It’s truly an experience I’ll never forget and one of the best meals I’ve enjoyed anywhere. Our meal at Remy at Sunset was one of my favorites ever. Getting the kids fed on Palo and Remy nights can be tricky. Kids can eat in the kids’ clubs, or you can always take them on deck to grab some buffet food I guess. And they also say you can have the club counselors take them half way through a meal (we’ve not had luck navigating that). When we were headed to Remy, we wanted to check on getting room service for our boys in our suite. 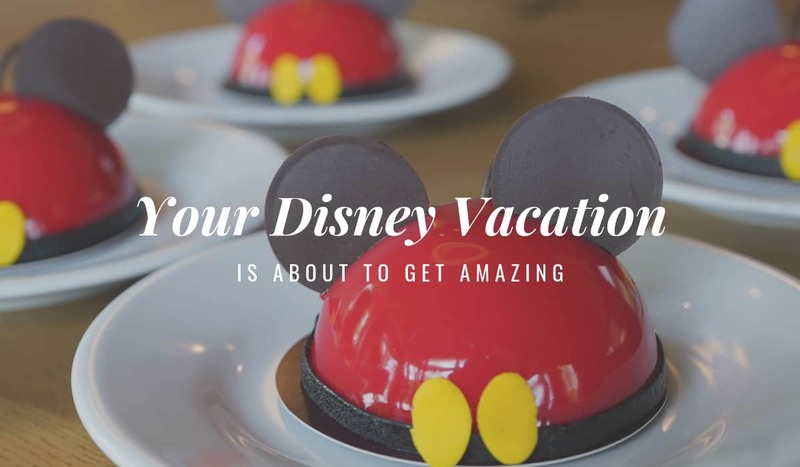 One of the Disney Concierge perks is that you can order room service from the main dining rooms rather than the more limited standard room service menu if you have booked any of the Disney Cruise Suites. We headed over to the Lounge, and one of our delightful Concierge hosts showed our boys menus. They could have anything they wanted from the main dining room. We set a time for them to deliver their food while we would be enjoying our meal at Remy, and they took care of everything. That worked out really well for my kids 10 and 12. This experience was in great contrast to ordering room service on our previous non-Concierge Disney Cruises. During one cruise, I called for room service for our kids at 5pm. Room service staff informed me that it would take 30 to 45 minutes. An hour later the food wasn’t there and didn’t end up arriving until one hour and twenty minutes after we ordered which interfered with our dining plans. 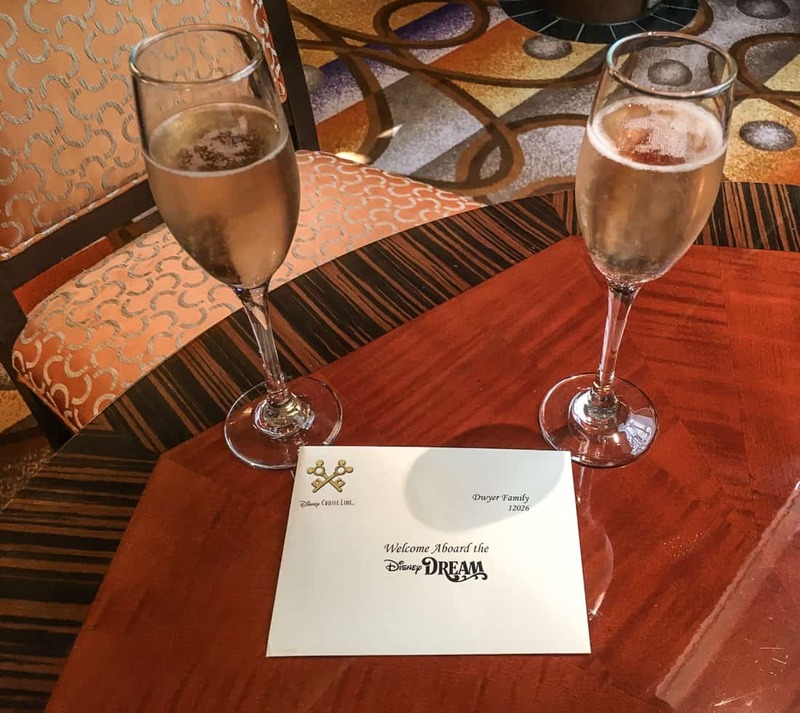 Meanwhile we thoroughly enjoyed our Remy meal that the Disney Dream Concierge team reserved for us. We liked Remy so much we booked Palo the next night on our way back to the room. The food is just so much better than the main dining rooms, and the room service for the kids worked out brilliantly. When our kids were younger that wasn’t a viable option without us in the room. As time went by we got to know our Concierge Hosts better. They’re delightful, and I really appreciated having someone to go to with any issues I might have had. For example, I had trouble getting Wi-Fi working on my phone. Concierge guests receive 100 MB of data complimentary, and I blew through that almost instantly. They squared it away in an instant. Similarly, I asked if the soda in the refrigerator in our room could be swapped for Evian. No problem. They took care of it immediately. Now I know I could have requested that in advance. The Hosts can help in big and little ways and seem empowered to flatten issues on the spot. You never know when you’re going to need something. 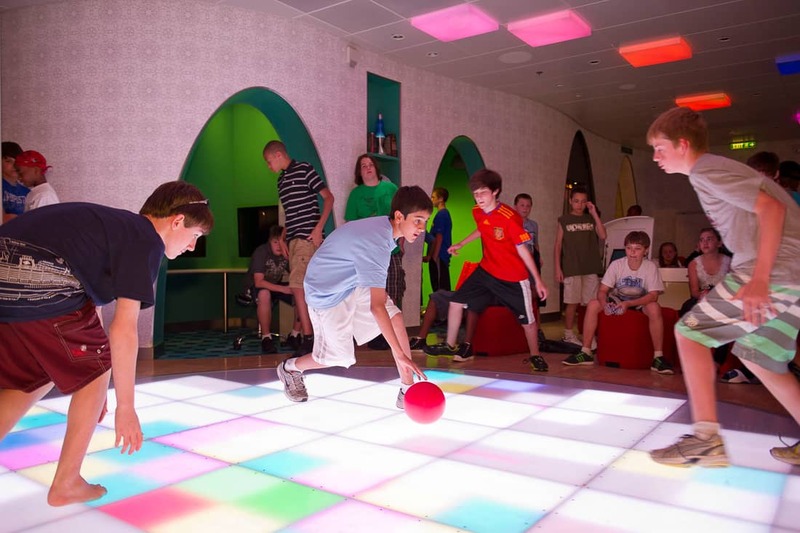 Our boys were 12 and 10 at the time of this cruise, so we all appreciated that they could come and go from the kids’ clubs on their own. I was a little concerned they’d not both be able to visit the tween club, but we signed a waiver for our 10-year-old and both boys were able to come and go as they pleased from both the main kids’ clubs for 3 to 12 year olds, The Oceaneer Club and Lab as well as Edge, the tween club for 11 to 14 year olds. Perhaps the most heartwarming example I can provide didn’t even involve our family. A little girl came to the Concierge Lounge crying saying she’d lost her lanyard on Castaway Cay. The Host said, “Don’t you worry, we’ll get you a new key to the world card right away!”. The little girl explained it wasn’t her key card – it was the pins on her lanyard she was sad about. The Host said she’d radio over to the island to see if anyone had found the lanyard. I’m thinking to myself “Yeah, good luck with that.” But wouldn’t you know it – they had found the lanyard on the island, and it was already on its way back to the ship. On Castaway Cay two of the Concierge Hosts tend to guests in cabanas. The family booked one for the day and the girl left her lanyard in the cabana. Knowing that, it wasn’t so unbelievable that they’d be able to find it and return it to its owner. I think this anecdote perfectly captures the Concierge difference. You never know how it might be helpful but when it is, you’re sure glad you’re sailing Concierge. 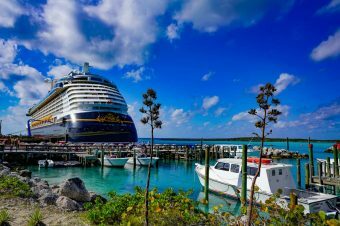 How Much Does a Concierge Disney Cruise Cost? Granted, these prices are kind of crazy for a 4-night experience. But take a look at how much you spent the last time you were at Walt Disney World. It may not be that out of line. The Concierge Family Ocean view Stateroom with Verandah is almost $2,000 more expensive than the Deluxe Family Ocean view Stateroom with Verandah. That’s 42% more, or $500 per night more. That’s a big difference. If you’re going for a Deluxe Family Ocean View with Verandah for $4,600 it’s worth considering whether the room is going to be large enough. 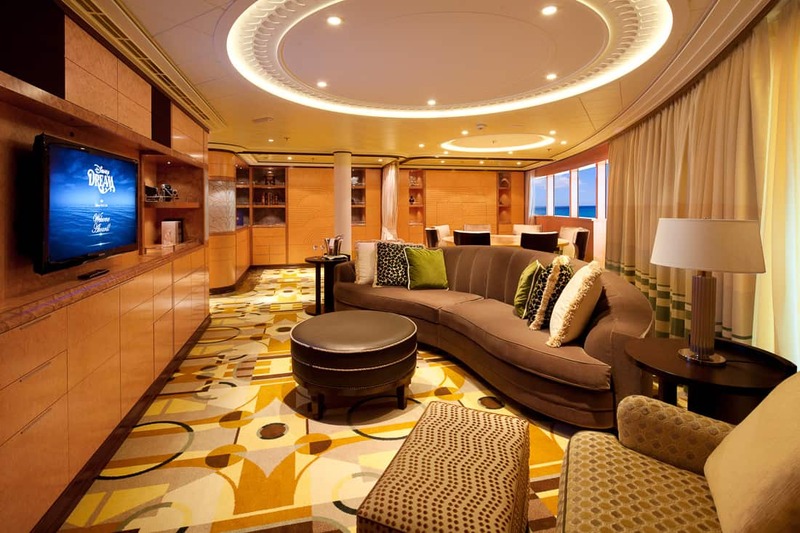 If it isn’t and you’re going to end up booking two staterooms your cost could easily exceed a Concierge 1-Bedroom for the same amount of space. 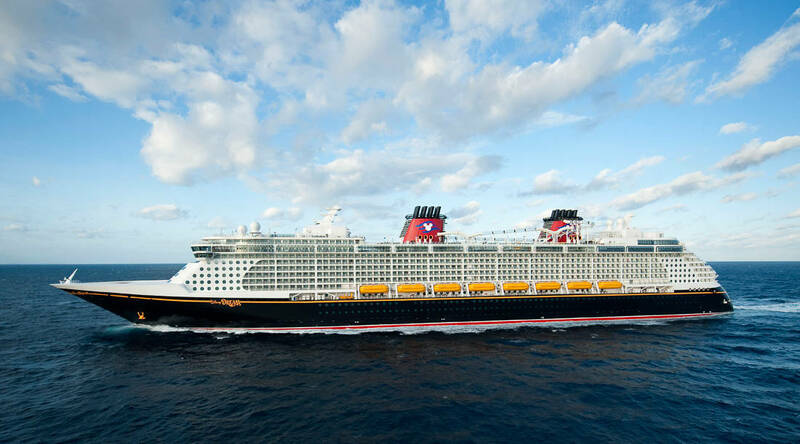 Bottom Line: Is Disney Cruise Concierge Worth It? When sailing Concierge so many little things are just a little better, nicer, or easier. The bedding is plusher. The bathrobes and slippers are more plentiful. The build quality in the concierge hallways shows more refinement. You’ll be sitting at a nicer table at dinner and wonder whether it’s because you’re sailing Concierge. There’s not a singular thing or list of things I could put together to say if you should book Concierge on Disney Cruise Line. But if I look at the collective enjoyment of our family and the percentage of time that everyone was enjoying themselves, we were all utterly delighted with the experience. This was our best family vacation ever. That’s hard to attain so I can absolutely say that for us Concierge was worth it. Would I do it again? Absolutely, if the price isn’t too insane. You can find some truly crazy prices out there for Disney Cruises. 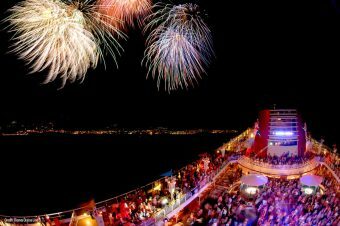 Could I now book a Disney Cruise that wasn’t Concierge? I could. Especially if we were traveling with extended family and needed more rooms. If I go back to the three things that irritated me on prior non-Concierge Disney Cruises, sailing in a 1 Bedroom Concierge stateroom with frequent visits to premium restaurants addressed all of them. So, was Concierge worth it? Absolutely. If you can find a cruise where the cost of Concierge Disney Cruise isn’t too much more expensive and you can justify it in your mind I’d recommend giving it a try. If most of the families we met while sailing convinced me of anything, you’ll do it again and again. Robert Dwyer and his family are residents of the Boston area. His passions are family travel, food, and wine. You can read more at his blog Wellesley Wine Press, on Disney World or follow him on Twitter. For a take on the experience of the Concierge level on the Wonder, check out Solo Mom Takes Flight. Let me plan a full Florida vacation from Port Canaveral or Miami. I’ll help you choose where to stay before or after your cruise. 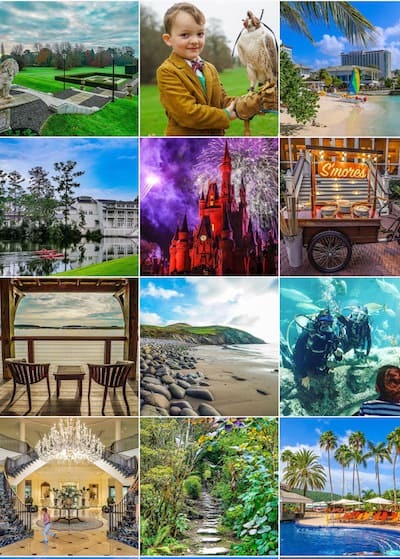 I’ll find the best Florida resorts ideal for your family. All you need to do to send your kids to the Oceaneers Club after eating is to sign up for the second seating and tell your server. As for Concierge, we love it too. My older son has mild sensory issues related to noise and I’m mildly claustrophobic. It’s nice to have a public place to relax as a family that’s less crowded and less noisy then the rest of the ship. After the first day there one of the stewards started poring my husband his favorite drink as soon as my husband entered the lounge. My husband didn’t request that service but the steward had noticed how much my husband enjoyed that particular drink. I have somewhat of a more mixed view with concierge. Perhaps it was because we were upgraded once we began sailing (at a fee). We were on the Fantasy and while we enjoyed being in conceirge I couldn’t imagine paying full freight for it. The good: the lounge and the conceirge only deck and hot tub area are very nice and a good place to escape the crowds. 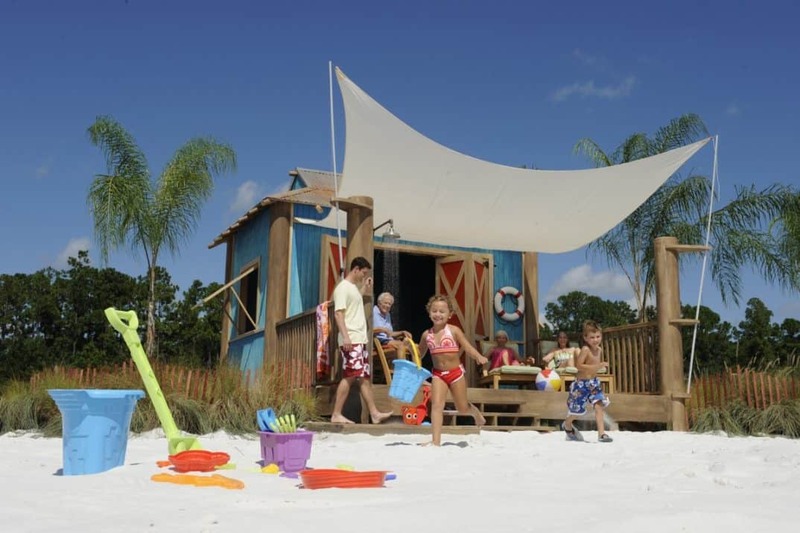 We also requested and received a coveted cabana on Castaway Cay which was definitely worth it! The not so good: had to remind the conceirge team several times to remove previous bookings we made on castaway cay, since they were included with the cabana. The same thing happened with an event onboard, we asked for it to be cancelled and while the conceirge said, “leave it with me” it was not done timely and we had to ask another conceirge to do it for us. The conceirge team seemed a little miffed that we kept asking for larger to-go coffee cups for the coffee maker, which btw is fabulous and another perk of being in conceirge. That was a little petty. Also we were celebrating our anniversary, which was in our cruise profile, and never once got any recognition for that. And no welcoming gift or surprises in our cabin, as I have heard other conceirge guests have gotten. The personal touches seemed to be missing for us, for whatever reason. We’ve cruised a lot with other lines including Seabourn, Crystal, Norwegian, Princess, and RCCL. When sailing with those lines in upgraded or conceirge level cabins, we got much, much better service. I completely disagree with your assessment of the concierge level justifying the price. For starters, the space is not that big and frankly it is filled with a dining table you really won’t need or use. Same with a living room. You are on a cruise! There is so much to do that there is no need to hang out in a room. There are lovely lounging areas on the adult side as well. The kids loved the kids club so much that we had to peel them out of there. They had dinner in the kids club also on those nights. Everyone was happy without overpaying for concierge level. In fact, with that savings it allows more money towards the next trip!